I was attempting to use Carlo Ayars convert scripts to remux .mkv files to .mp4 on a 32-bit winXP box. FFMPEG kept throwing “not a valid Win32 application” errors. That’s when I realized the included copy of FFMPEG was 64-bit. So I went out and downloaded the latest 32-bit FFMPEG and it threw “The procedure entry point” errors. I ultimately found an article which explained the last working version of FFMPEG on Windows XP is ffmpeg-20160227-git-5156578. I replaced FFMPEG with ffmpeg-20160227-git-5156578 and it works great. As far as entry subwoofers go, this is probably the best bang for your buck, especially considering the quality of the build. Built around high quality medium density fiberboard and using a highly efficient 10″ driver, the PSW-10 manages to bang as well, if not louder, than other subwoofers in this category, despite running at 50 watts RMS. One shortcoming about the Polk is the lack of an LFE input: you only get RCA and speaker line inputs meaning that there is no way you can bypass the internal crossover of the sub. Considering the market it’s aiming for, this shouldn’t be too big of a problem for most people, but owners with good receivers might be a bit vexed by this. A few years ago I had purchased a Sony STR-KG700 audio receiver for use primarily as a 5.1 decoder in my back bedroom. At the time my house AV system was wired for component video. Eventually I converted the system over to HDMI for simplicity of wiring and to take advantage of the progressive scan HD formats. After the conversion however the Sony STR-KG700 was basically useless as it couldn’t switch the HDMI audio/video. 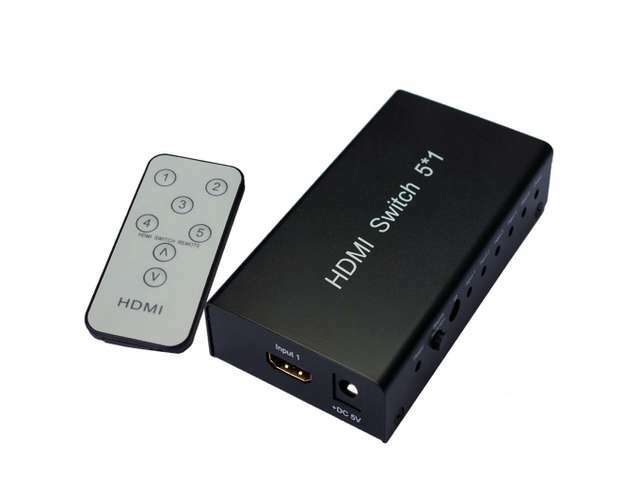 I needed a way to upgrade a non HDMI receiver to both switch HDMI inputs and extract surround sound information carried by the HDMI. My solution was to add the Etekcity® 4 Port HDMI Intelligent Switch Switcher Selector with Audio to the rig and it has worked flawlessly. By adding the Etekcity HDMI switch I can now switch HDMI inputs and the Etekcity switch routes the 5.1 encoded audio to my old Sony via S/PDIF using Toslink or coax in essence converting it to an AVR. So for a little more than $40 I was able to upgrade my non-HDMI receiver to a AVR adding years of service to it’s service life. 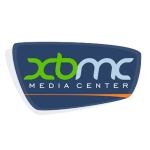 I’m a big fan of XBMC KODI but have an issue when it comes to the way KODI handles removing watched movies. When you delete a movie from the database (and file system if you’ve configured KODI to allow file deletion) KODI deletes the movie file but not the directory, thumbnails, and various other accompanying files. After a while you have all these orphaned movie folders lying around. HDBaseT the end of HDMI cables? (PhysOrg.com) — A new audio/video cable techology is being developed that might spell the end of HDMI cables, which are currently used to connect a wide range of audio and video devices. The new technology is known as HDBaseT and carries audio and video signals and power on standard Cat 5e/6 Ethernet cables.